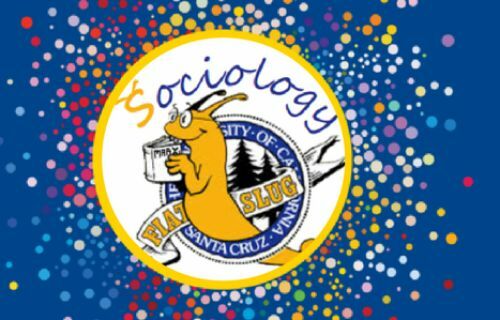 Sociology@UCSantaCruz is proud to announce four team projects raising money to support our students and their continued work in challenging dominant norms and structures. 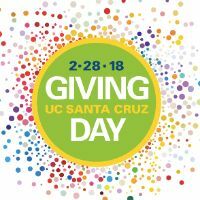 Incentives to give include matching funds: if you are interested in matching funds for specific projects, please email sociology@ucsc.edu. Challenges throughout the day will reward teams attracting the greatest number of donors during specific times. The minimum amount to donate online is $5. Campus events including accepting cash donations, of any amount, on day-of are planned for Quarry Plaza. Visit the Giving Day site to make gifts or track your favorite projects’ donations in real time. Below, link directly to project pages. Challenging dominant socialnorms and structures that perpetuate social inequalities. This year, we dedicate our Giving Day campaign to establishing funds for the Francesca Guerra Undergraduate Research Scholarship. In honor of Fran, Sociology undergraduate student research will take scholarly leaps into the dynamics of social action: agency and governance, politics and mediation, identity and difference, social justice and ethics, democracy and sustainability, technologies and environment, affect and politics. College students work with nonprofits to improve non-partisan voter education and grassroots organizing. This project will place trained UC students from the Central Valley as paid summer interns and researchers in nonprofit organizations to support and inform regional grassroots efforts. Additionally, a UCSC graduate student is producing a film documenting this effort. This project builds knowledge about social movements and strengthens employment pipelines for UC students in the Central Valley. Honoring the life and work of Professor Emeritus James O'Connor and thirty years of Capitalism Nature Socialism. 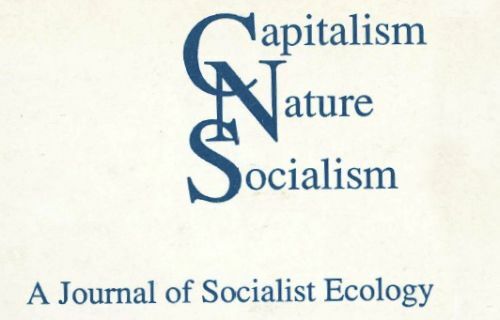 Help CNS raise funds for a commemorative event gathering Sociology@UCSanta Cruz alumni and colleagues to honor the life of UC Santa Cruz Emeritus Professor James (Jim) O’Connor and thirty years of political ecology and ecosocialist work of the journal, Capitalism Nature Socialism, founded here at UCSC by Jim, Barbara Laurence and a dozen colleagues and graduate students. In June of 2018 in Santa Cruz, we will celebrate O’Connor’s intellectual, political and personal legacy; his central role in two major international journals and his wide-ranging work – from Cuban fiscal policy to political ecological crisis, and from a powerful critique of capitalist individualism to a reworking of historical materialism around cooperation as both force of production and production relation.